Is there a better alternative to EditiX? Is EditiX really the best app in Editors category? Will EditiX work good on macOS 10.13.4? EditiX needs a rating. Be the first to rate this app and get the discussion started! EditiX is a powerful and easy-to-use cross-platform XML editor and XSLT debugger designed to help Web authors and application programmers take advantage of the latest XML and XML-related technologies such as XSLT, XSL-FO, DocBook, SVG, or various XML schemas. 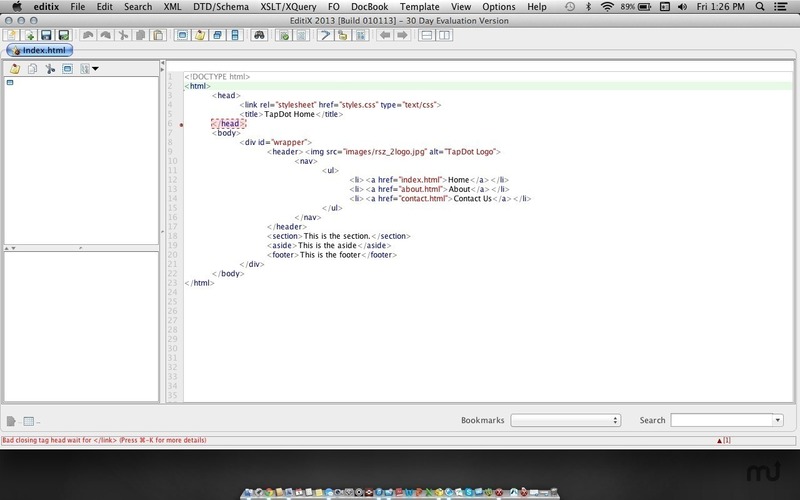 EditiX has an XSLT debugger and an XML Differencing support. It provides users with an extensive range of XML functionality within a refined IDE that guides you with intelligent entry helpers. The user can manage remote files from FTP, WebDAV or from an archive file like ZIP or JAR. It includes real time XPath location and syntax error detection. Some content assistants are provided with context syntax popup supporting DTD, XML Schema, and RelaxNG. Multiple templates and project management are bound to editiX. User can apply XSL, XSL-FO or DocBook Transformation by shortcuts and show the result in a dedicated view. EditiX includes default templates for XML, DocBook, DTD, XHTML, XSLT, XSD, XML RelaxNG, SVG, MathML, and XSL-FO. The quoted price is that of a small-business license. Additional pricing information can be found here.